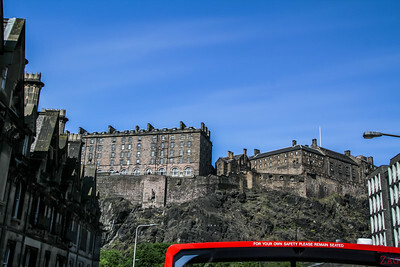 Edinburgh, Capital city of Scotland, is often a favorite for visitors with so much history between the 3 hills. 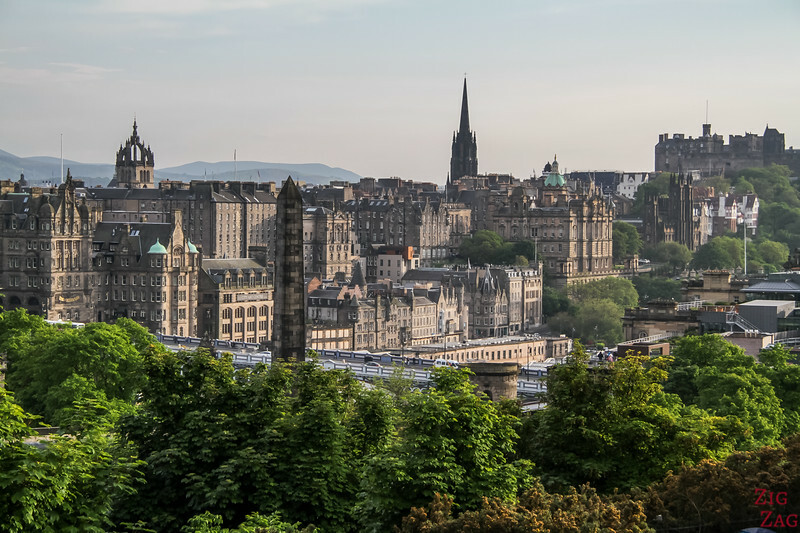 To help you plan your visit, here are the top Edinburgh things to do and, if you have more time, the best places to visit near Edinburgh. Here is a short video, to give you a feel for what it is like to visit Edinburgh and many of the things to do in Edinburgh. Edinburgh is a city that is very walkable. A lot of the points of interest are gathered in the center. I did it in Edinburgh and it was great! Right in the heart of the city, you cannot miss it. 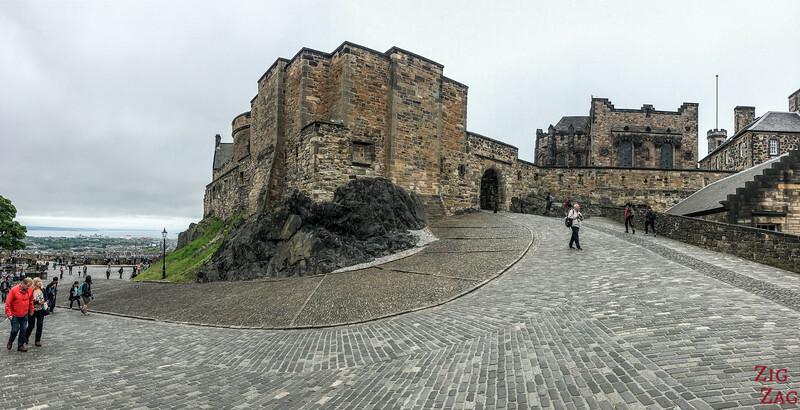 Climb the Hill and discover one of the Scottish landmarks: the Edinburgh Castle. From there you can admire the city, explore the medieval city and marvel in front of the crown jewels. ​And you can buy your ticket now online to skip the line. 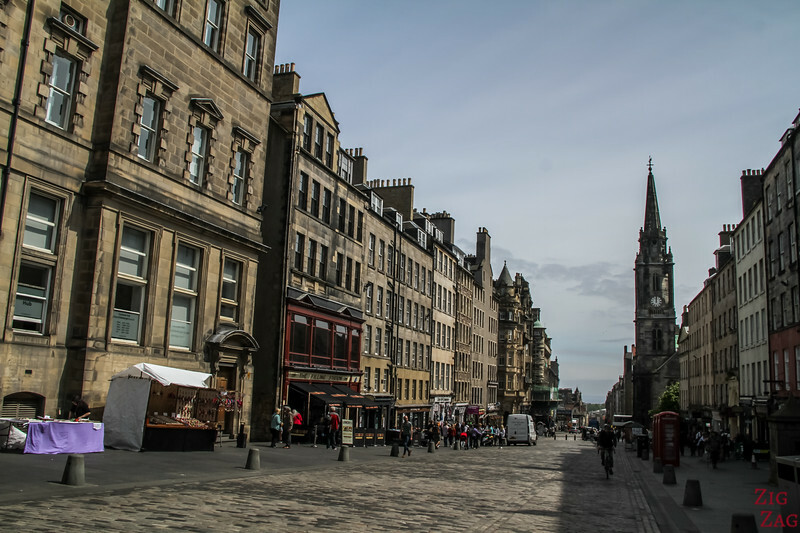 The spine of the Edinburgh city is the Royal Mile. This long street takes you from the Castle to the Holyroodhouse palace in the heart of the old town. It is now too touristy for my taste but the side small passages are interesting to explore. 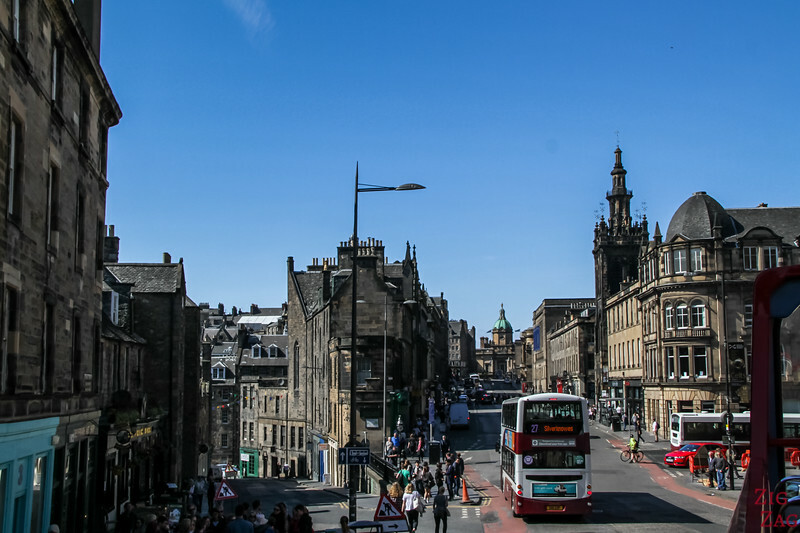 Many photos and practical info on the article dedicated to the Royal Mile. Located on the Royal Miles, the St Giles Cathedral is not the most beautiful from the outside. But once inside you can admire colorful stained glass windows, the internal system of the organ and the famous Thistle Chapel. 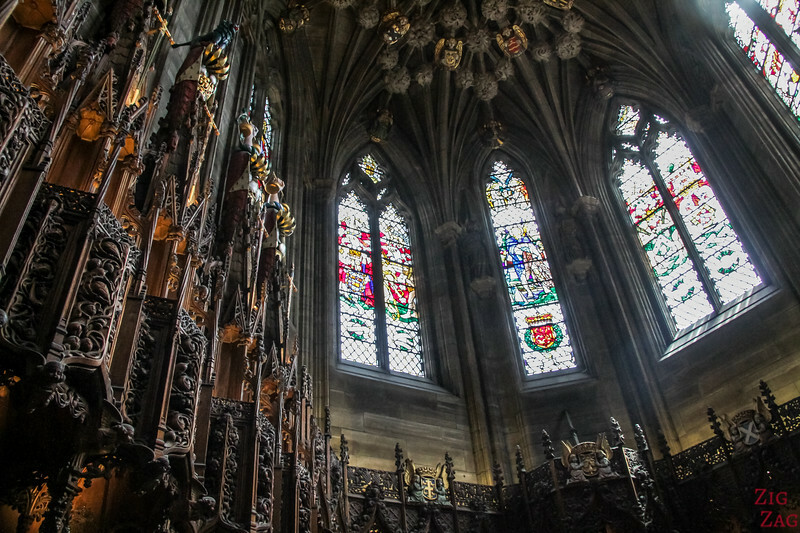 Many photos and practical info on the article dedicated to the St Giles Cathedral. 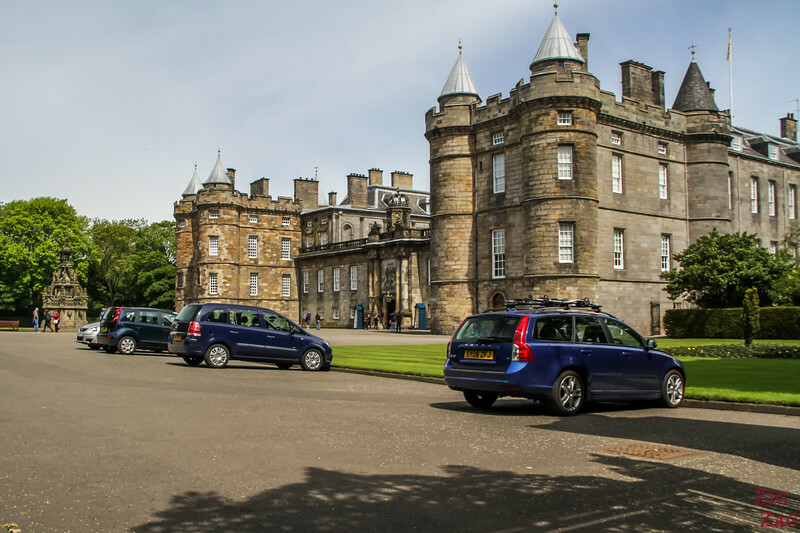 The Holyroodhouse Palace is the official residence of the Her Majesty the Queen in Scotland. 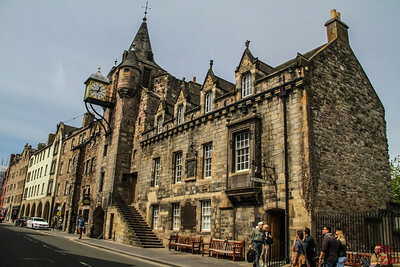 It is standing at the end of the Royal Mile opposite the Castle. You can visit some of the apartments, the ruins of the Holyrood Abbey and the royal gardens. 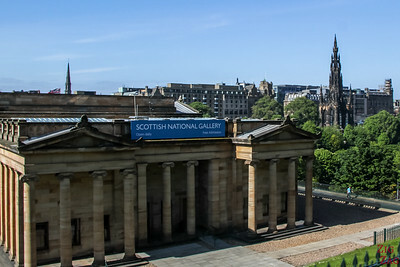 Calton Hill is one of the 3 hills in the city. 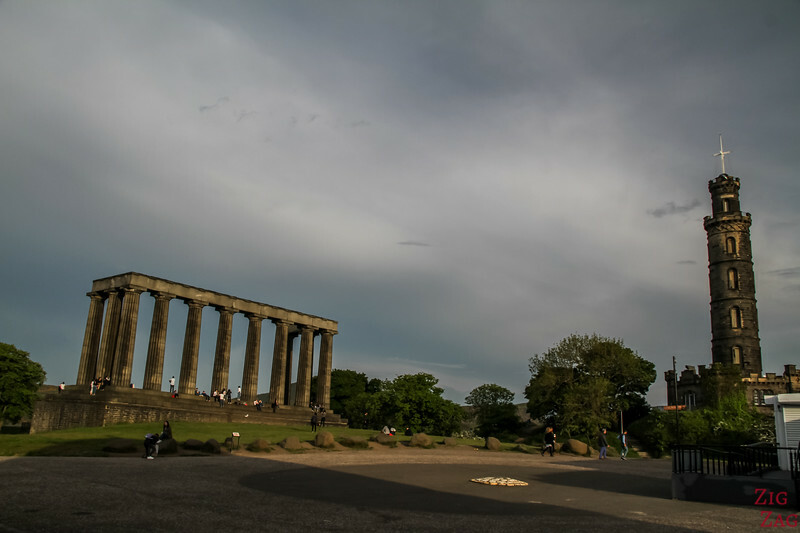 I think it is one fo the tops things to do in Edinburgh with many monuments of greek inspiration and incredible views all around. 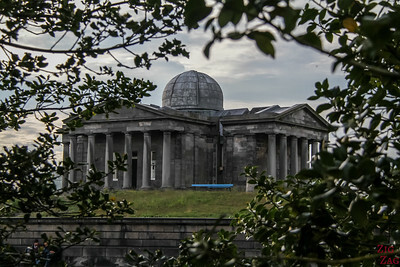 Many photos and practical info on the article dedicated to Calton Hill. 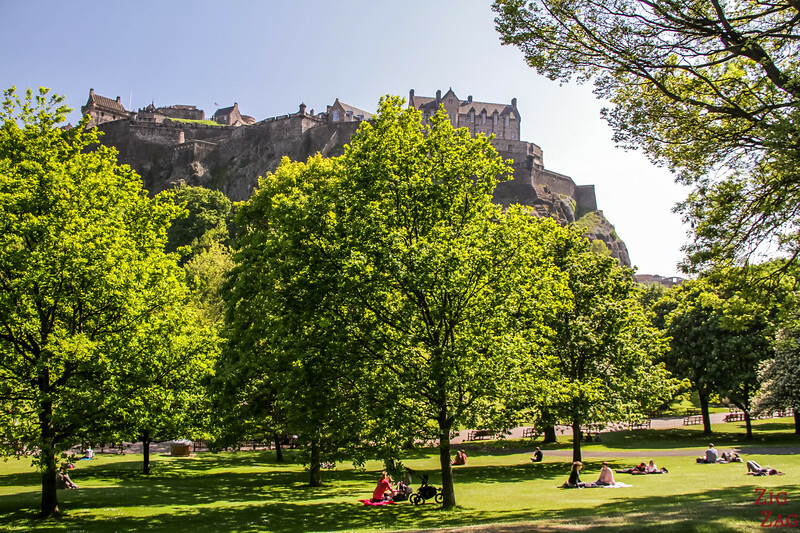 In the heart of Edinburgh, separating the old and new towns, the Princes street Garden are a great place to escape the busy street and go relax on the grass under the magnificent trees. One of the most relaxing Edinburgh things to do. Like many bog cities, Edinburgh has its own Botanic Gardens. If you want to escape the narrow streets and dark buildings, head to the Gardens to enjoy the greenery. Further from the Edinburgh city, fans of the Royal family or of ships, can enjoy a visit of the Royal Yacht ﻿Britannia. But maybe more than visit all those Edinburgh things to do, my recommendation is to just walk around or take a bus around the city. It definitively has a unique atmosphere. And for the Harry Potter fans, there are many things to do.The most famous location is probably the Elephant House, were J.K. Rowling wrote The Chamber of Secrets and The Prisoner of Azkaban. 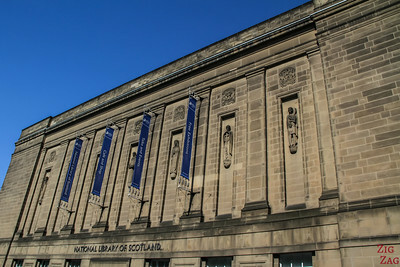 The Culturetrip has an article with the top places in Edinburgh for Harry P﻿o﻿tter fans. One of the best things to do in Edinburgh is actually to just admire the skyline and façades.. the succession of old and narrow facade is intriguing. 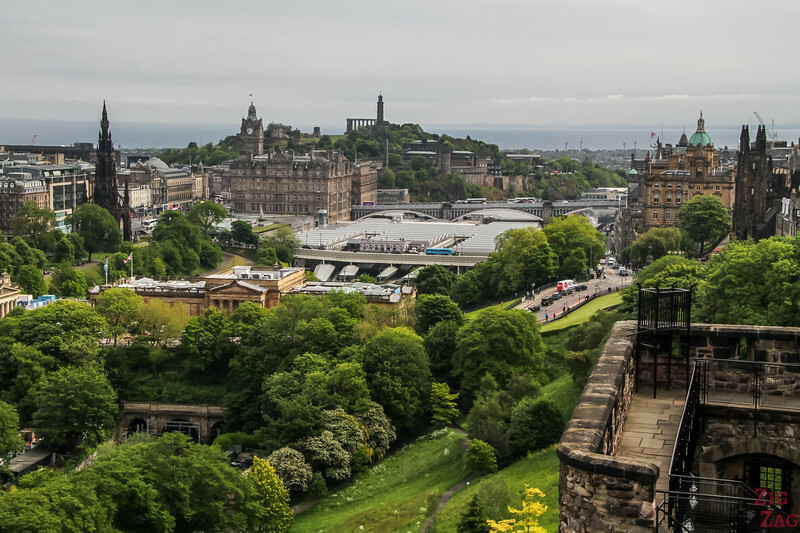 Here are some of the best spots for the best views of Edinburgh Scotland. Calton Hill is definitively one of the best spots for views of Edinburgh and I think the absolute top 1 Edinburgh things to do. 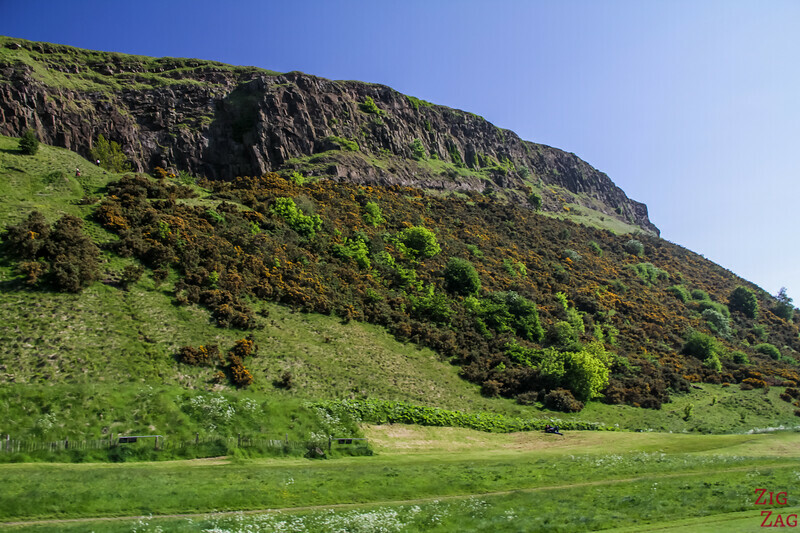 You get clear views all the way to the castle and great front row seat to the Arthur's seat formation. Behind the information center and the Waverley Mall, you can see the top of the train station and an unobstructed view of the old town. The only thing missing from the view on top of the Edinburgh castle is the castle itself... But you get beautiful views of the Balmoral Hotel and behind Calton Hill with its many monuments. Different trails take you to the top.​ Plan 2 to 3h. Some climb straight up. Another goes around with a gentler slope but the end it still steep. 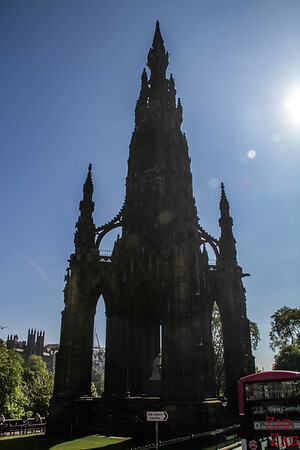 It is also possible to climb to the top of the Scott Monument for more up-close views of the city. 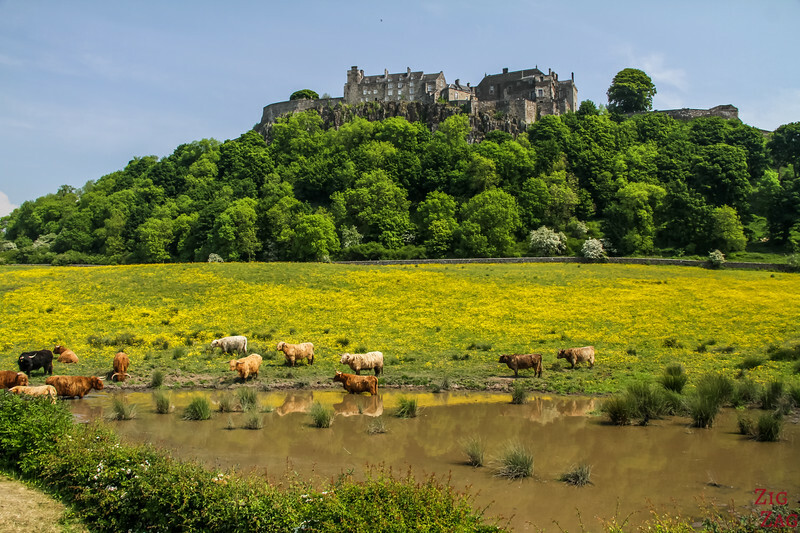 Stirling Castle is similar to Edinburgh castle: an old medieval city on top of a hill. If that is your thing, it is only a 1h to 1H30 drive (depending on traffic). Parking at the top is not free and limited. East of Edinburgh, along the coast are 2 fascinating ruins of Castle to explore less than 1h drive from the city. 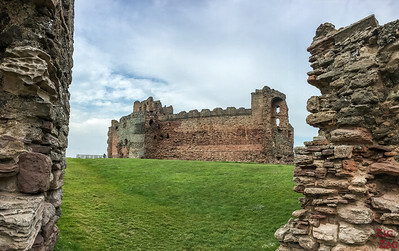 Dirleton is a 13th century fortress with lots of rooms to explore while Tantallon is an imposing 14th century structure along the cliffs where you can climb to the top. 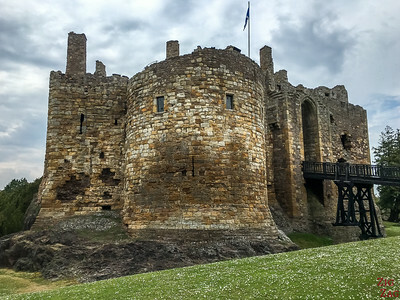 Many photos and practical info on the articles dedicated to Dirleton Castle and Tantallon Castle. 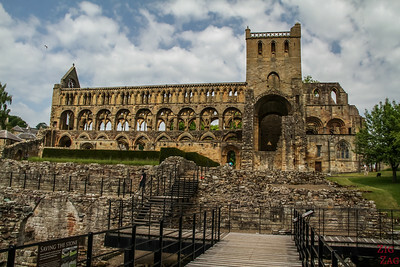 Many photos and practical info on the articles dedicated to Melrose Abbey and Jedburgh Abbey. One of the most famous places to the visit near Edinburgh is St Andrews and the ruins of the cathedral. 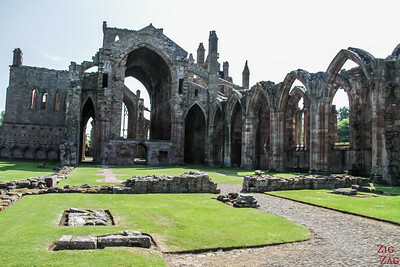 Built in 1158, it was the largest church built in Scotland. You need to plan 1h30 of driving from Edinburgh. 45 minutes East of Edinburgh, along the river Forth, Blackness castle stands on a promontory. Much of what is seen is from the reconstruction during the 16th century. Thanks to its location, the fort has a special atmosphere appreciated by visitors. The Loch Lomond and Trossachs area is the most famous national Park in Scotland. With less than 3 hour drive from Glasgow and Edinburgh, it is a great area to enjoy lochs and mountains in the lower part of the Highlands. 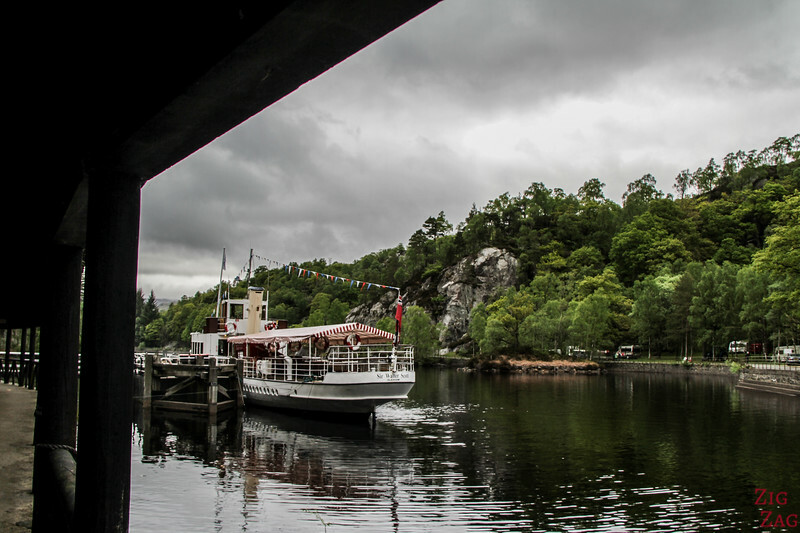 You can also enjoy a cruise on Loch Katrine aboard the historical Sir Water Scott Steamboat. Many photos and practical info on the articles dedicated to Loch Lomond and Lo﻿ch Katrine. 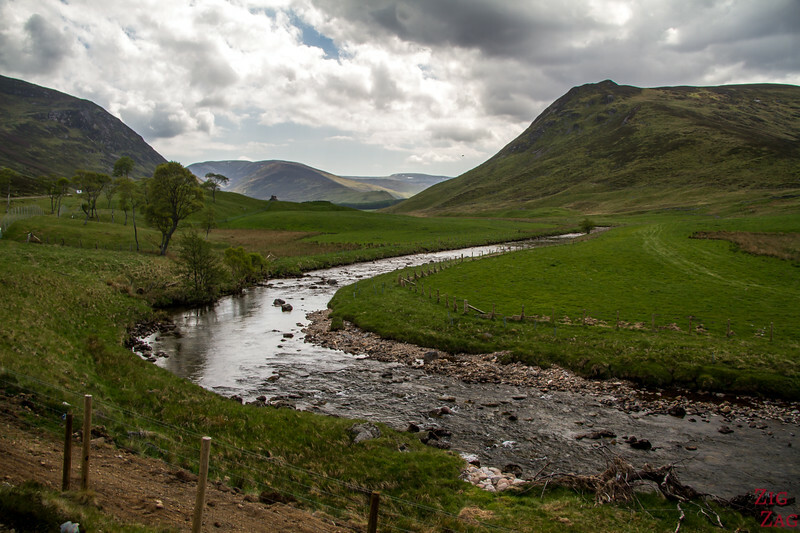 You can also head North towards Inverness and drive through the Cairngorms National Park. The Balmoral and Braemar Castles are just a couple of hours drive away but the best part is the scenery and the vast expanses of nature. Many photos and practical info on the article dedicated to Cairngorms National Park. But if you like cities, you can simply head west to Glasgow and discover a vastly different town. Better to avoid the car, and enjoy a train ride between both centers. 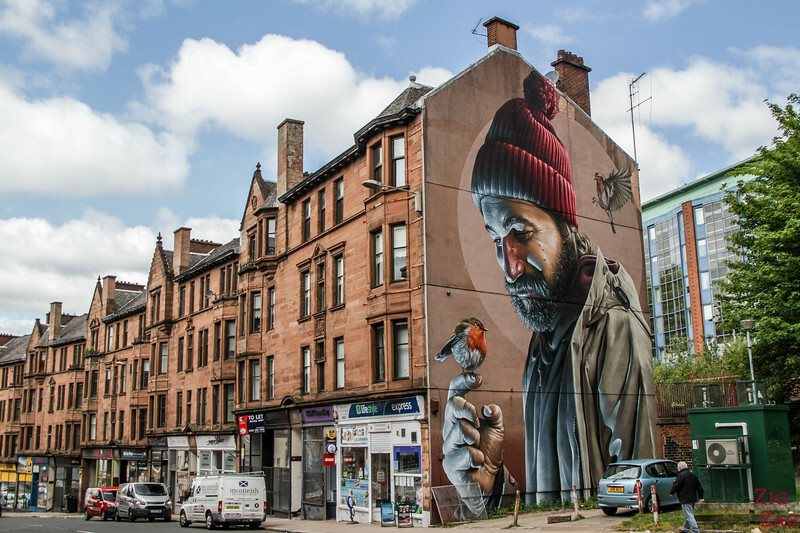 Many photos and practical info on the article dedicated to Glasgow. If you start or finish your Scotland Trip in Edinburgh, make sure you do not keep your rental car while in Edinburgh. Parking places are very limited and expensive.